After successfully completing 12 marathons in 12 months in 2011 to raise money for the Meningitis Trust and Northampton General Hospital Intensive Care Unit, SFS Procurement Consultant Craig Fuller is taking on an even greater challenge this year. His latest fundraising endeavour is to run 100km (60 miles) from London to Brighton, along with friends Leon Moxam (33) and Mark Risby (40). The purpose is to raise money for the Ectodermal Dysplasia Society, which has been a huge support to Leon Moxam’s daughter, Gracie Rose. Gracie suffers from Incontinentia Pigmenti (IP), a very rare genetic disorder, which affects the skin primarily but also the eyes, hair, teeth, nails and brain. Team Gracie looks set to beat its fundraising target of £2500 and have already raised in excess of £1500. The London2Brighton Challenge is an epic cross-country Ultra Marathon taking place on 25-26 May 2013. Over 1500 participants took part last year and the fastest challenger was Abigail Cowan who completed the course in 11 hours 26 minutes. 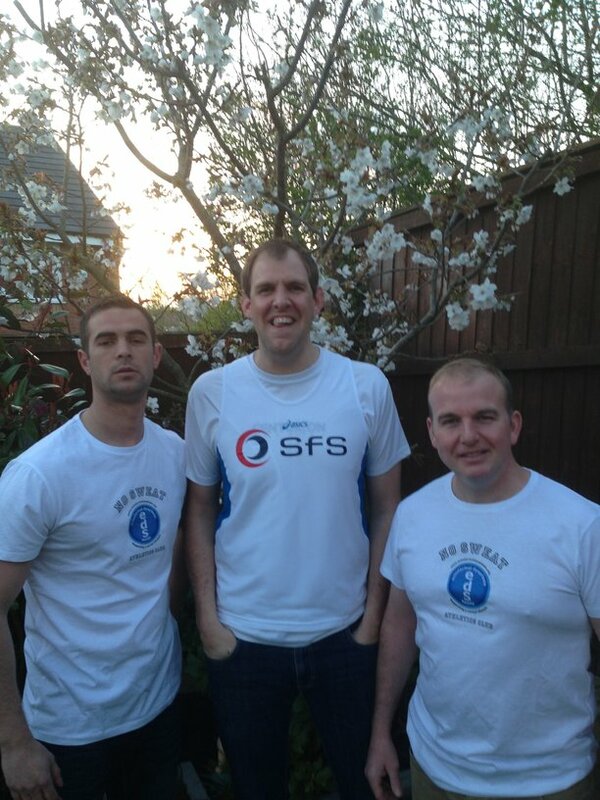 Craig and his Team Gracie members will not be running in relay and all aim to run the whole course in under 15 hours. The course is divided into 4 stages with rest stops every 25km and food stops at 25km, 50km, 75km and at the finish. Drinks and snacks are provided at the checkpoints that appear every 12.5km. Once again Craig Fuller is being fully supported and sponsored by his employer, Northampton based contract hire, workshop and fleet management company, Specialist Fleet Services Ltd (SFS), a member of Business In The Community. To make a donation to Team Gracie visit http://uk.virginmoneygiving.com/fundraiser-web/fundraiser/showFundraiserPage.action?userUrl=Gracie3&faId=305357&isTeam=true , or contact Craig on email craig.fuller@sfs.co.uk or tel: 01604 234 601. For further information about Incontinentia Pigmenti and the Ectodermal Dysplasia Society visit www.ectodermaldysplasia.org or tel: 01242 261 332.